Family and friends traveling together may add the Moody Addition room to the Olive Branch Room to form a two bedroom suite for a small additional fee. The two bedrooms share the spacious Olive Branch bath. 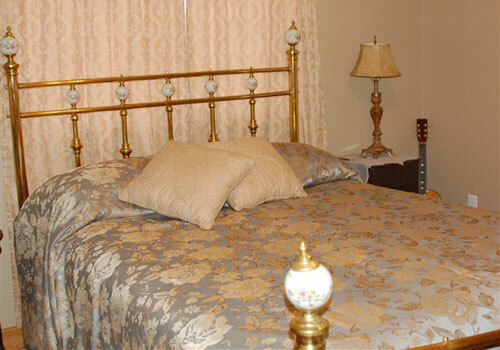 The cozy bedroom is decorated with memories of the Moody family. Relax in the queen size bed while watching the 32” HDTV with dvd.